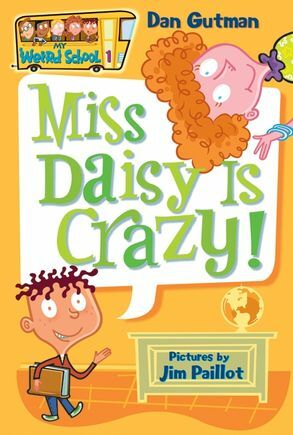 My Weird School: Miss Daisy is Crazy! – Shelf Stuff Shelf Stuff | My Weird School #1: Miss Daisy Is Crazy! Think your teacher's are crazy? Wait until you meet the staff at Ella Mentary! You've never seen a school like this. Perfect for reluctant readers and word lovers alike, Dan Gutman’s insanely popular My Weird School series has something for everyone. Don’t miss the hilarious adventures of A.J. and the gang.